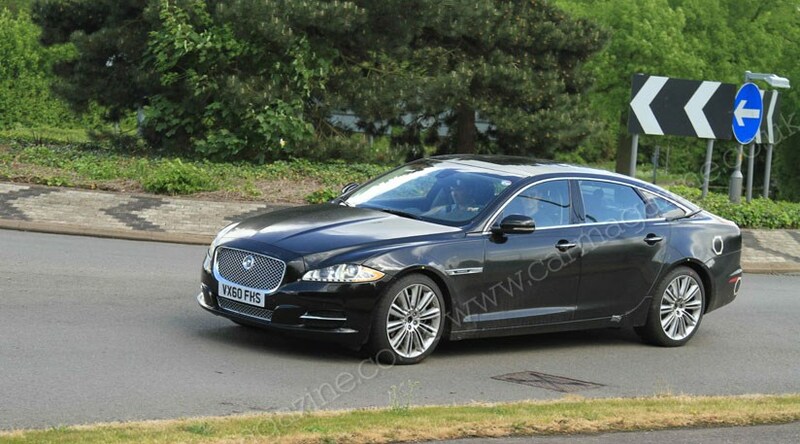 The Jaguar XJ registered with a 2.0-litre diesel engine. Could this be the hybrid? Our spies in the Midlands have snared an unusual find today: a Jaguar XJ with a 2.0-litre diesel engine registered under the bonnet. Is this the downsizing alluded by last week’s C-X75 supercar announcement? That supercar coming in 2013 will take the glamorous 2010 Paris motor show concept and swap its radical diesel turbines for an extreme downsized engine for production – a 1.6-litre petrol four-cylinder, mated to two electric motors. Which makes us wonder if Jaguar could be producing a similar system for other future models. The only way is down with engine capacities. Could the limo class be about to charge into 2.0-litre territory? True, true. But it’s hard to avoid debating such evidence when it’s wafted under your nose. We know car companies constantly evaluate future product as engineers wrestle with different powertrain options in new architectures. It doesn’t necessarily mean they're about to launch such a downsized engine. And yet… Our new spy shots reveal an XJ with some unusual electric wiring at the rear, not all of which is in shot, which led our anonymous onlooker to wonder if this car might in fact be a test mule for the hybrid Jaguars we know are coming. It’s a big leap: from 1.6-litre supercar to 2.0 limousine? Jaguar Land Rover has committed to hybrids, with internal combustion engines in future shrinking as electric motors take up the slack. Although the official Jag bumf on the C-X75 supercar refers only to its extreme downsized engine, CAR can confirm it will be a 1.6-litre petrol four-cylinder. The first JLR hybrids will be larger Land Rovers whose emissions and consumption are most in need of trimming. We already know the new-gen Range Rover Sport, Range Rover and Land Rover Discovery launching from 2012-13 will mate the 3.0-litre diesel V6 to hybrid electric drive. We suspect the company will be looking at solutions with smaller engines too depending on the size of application. Chief engineer Bob Joyce told us last week that the Project Green Limo testbed car, which mated a Jag XJ with a range-extender 1.2-litre petrol hybrid system, had been a useful research tool but that the company was now moving away from range-extender tech.